Show Low has been named a 2018 Tree City USA by the Arbor Day Foundation to honor its commitment to community forestry. 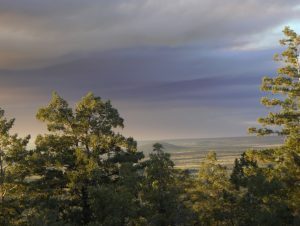 Show Low has met the four standards to receive this national recognition: a tree board or department, a tree care ordinance, a commitment to a community forestry program and an Arbor Day observance. To celebrate Arbor Day, city staff will meet with the fourth grade students at Nikolaus Homestead Elementary School on April 26 and plant a tree at the campus. The Tree City USA program is sponsored by the Arbor Day Foundation and provides, among other things, national recognition for greener communities. Trees provide multiple benefits to a community when properly planted and maintained, helping to improve the visual appeal of a neighborhood, increase property values, reduce home cooling costs, remove air pollutants and provide wildlife habitat, among many other benefits. More information on the program is available at arborday.org/TreeCityUSA.